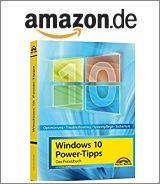 [German]Microsoft released update KB4478877 for Windows 10 V1607 on December 4, 2018. It was also announced that the bug will be fixed in the Media Player search in mid-December 2018. The installation of this update requires an installed Servicing Stack Update (SSU) KB4465659. At the same time, an update for the Update Client is installed and the list of known problems contains three entries. This ranges from a .NET framework SQL error (4470809) to a bug in the search for Windows Media Player to problems or hangs when processing end-user-defined characters (EUDC). Details can be found in the KB article. The KB article also contains information, when Microsoft intends to fix the error causes the search field in Windows Media Player no longer to work. This entry was posted in Update, Windows and tagged issue, KB4478877, Media Player, Update, Windows 10. Bookmark the permalink.